When will the park open? What kinds of activities are scheduled? How is Freshkills Park funded? What kind of animals can you find at Freshkills Park today? Where does the name “Fresh Kills” come from? Where does New York City’s trash go now? What happened to the World Trade Center materials? How is Freshkills Park safe? Is the Fresh Kills Landfill toxic? Isn’t there radioactive waste at Fresh Kills? Freshkills Park is being built gradually in phases, and most of the site remains closed to the public. NYC Parks and the Freshkills Park Alliance are providing early access for learning and exploration opportunities. Tours and events offer the unique chance to see parts of Freshkills Park that are currently closed to the public. Check the calendar to learn about upcoming opportunities to visit. Other than scheduled tours and events, the Freshkills Park project site is not publicly accessible. At 2,200 acres, Freshkills Park is a huge project. In order to make it more manageable, NYC Parks plans to build the park in phases from the outside in. Projects that provide direct connection to the communities surrounding the park were given the highest priority, and some have already opened. Construction is currently underway for phase one of North Park, which is expected to open to the public in 2020. The South Park Anchor Park project is currently in design, with plans for multipurpose fields and trails open adjacent to Owl Hollow Soccer Fields. Future plans include a publicly accessible road system that will provide access to the different areas of the park and create a connection between the West Shore Expressway (Route 440) and Richmond Avenue. NYC Parks hopes to have the entire park fully opened in 2036. In the meantime, tours and events are providing early access as Freshkills Park remains closed to the public. Join us on an activity to see it for yourself. 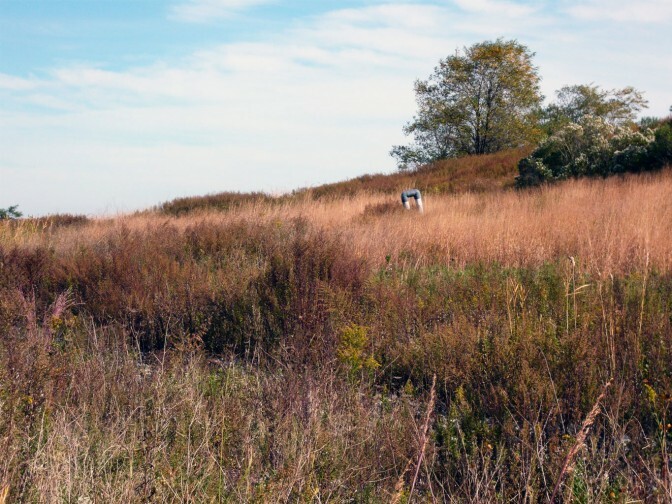 During the ongoing transformation from landfill to park, the Freshkills Park Alliance is working with NYC Parks and NYC Sanitation (DSNY) to organize programs that invite the public to go behind the scenes and learn about the project. Activities like kayaking, photography, hiking, volunteer projects, and group tours provide visitors with a more tangible sense of the expansiveness of the site. Visitors are also able to observe wildlife, gain insight on New York City’s history and future, and gain a better sense of what the Park will offer as it continues to open. Upcoming activities are listed on the calendar. Certain activities are not scheduled at the project site. Prohibited activities include mountain biking, barbecuing, and using off-road vehicles like ATVs. The majority of the funding to build Freshkills Park has come from Mayoral capital funds. Funding has also come from grants from the New York State Department of State, the New York State Department of Parks, Recreation and Historic Preservation, and the Federal Highway Administration through funding from the Congestion Mitigation and Air Quality Improvement (CMAQ) Program. The New York State Office of Coastal, Local Government & Community Sustainability has contributed funds for the park construction under Title 11 of the Environmental Protection Fund. Freshkills Park is the biggest park to be constructed in New York City in 100 years. As a result, the park is opening in increments over time. This approach makes it easier for planners to design, fund, construct, and open the park, rather than doing the same for all 2,200 acres of Freshkills Park at once. As the not-for-profit partner of the park, the Freshkills Park Alliance raises funds to support programs that make the closed Freshkills Park site accessible to the public. You can donate to help the Alliance sponsor a broad range of recreational, cultural, and educational offerings. Freshkills Park is home to a variety of habitats with a diverse array of wildlife. As a reclaimed landscape in a heavily urban region, the site holds great potential for providing habitat needs to vulnerable species. Since landfill closure, a variety of plants and animals have been thriving. Native grasses were planted on the capped landfill mounds, and rare grassland birds now make their home in what has become the largest grassland habitat in the region. White-tailed deer are an important part of New York State’s rich ecosystem and are greatly valued by many New Yorkers. However, at high population levels deer can pose significant challenges to human health and safety. In September 2016, New York City launched a non-lethal deer impact management plan. To learn more, visit the Deer Impact Management Plan page. Ongoing research indicates that the wildlife living at Freshkills Park is as healthy as other wildlife living in New York City. Urban parks do have more constraints on wildlife than animals in less urban spaces. The site presents unique opportunities to study the processes of biodiversity change in an urban setting, and to adaptively manage the reclaimed landscape to encourage species productivity. Partnerships with local institutions have produced valuable data that inform park development as well as contributions to scientific fields. More information can be found on the Scientific Research page. The name “Fresh Kills” comes from the Middle Dutch word kille, meaning “riverbed” or “water channel.” Before the landfill opened in 1948, the Fresh Kills site was primarily tidal creeks and coastal marsh. When Parks Commissioner Robert Moses and the City of New York established the Fresh Kills Landfill, the initial idea was to keep the landfill open for about three years and “fill” the wetlands at the 450-acre site to prepare it for development. Learn more about the history here. Fresh Kills Landfill was the last landfill in New York City. New York City’s municipal solid waste is now exported to other places. Staten Island’s waste is sent to DSNY’s Staten Island Transfer Station, a 79,000 sq. ft. facility adjacent to the Freshkills Park site, where it is compacted, sealed into shipping containers and railed by a private contractor to a landfill in South Carolina. Garbage from households in the Bronx goes to a landfill in Virginia, and waste from Brooklyn is railed to a landfill in upstate New York. Much of Manhattan’s waste is trucked to a waste-to-energy plant in New Jersey. The average American creates over 4lbs. of waste each day. Collectively, all households in NYC produce over 12,000 tons of garbage every day. Once DSNY comes and picks it up, the trash doesn’t just disappear – it still needs to be disposed of somehow. It costs NYC hundreds of millions of dollars a year to send its garbage somewhere else. New York City is working to eliminate the need to send waste to out-of-state landfills, thus minimizing the overall environmental impact of its trash. Learn more here. After the World Trade Center attack on September 11, 2001, Section 1/9 of the Fresh Kills Landfill resumed operations when materials from Ground Zero were transferred to the site for investigation and recovery efforts. On December 28, 2001, Governor George Pataki issued an executive order for the temporary suspension and modification of the environmental conservation law respecting the closure of the Fresh Kills Landfill, until the investigation and recovery efforts at the site were completed. Over the next 10-months, the FBI, NYPD and the Office of Emergency Management screened and sifted approximately 1.2 million tons of material from Ground Zero. The investigation effort did not end until all discernible materials were removed, with the remaining material placed in a 48-acre area adjacent to the investigation and recovery site. The area was demarcated and covered with several feet of soil. It is currently being covered with a geomembrane and additional soils which will further protect it, and is planned to be incorporated into the West Park section of Freshkills Park. The Department of Sanitation (DSNY) has invested significant effort in establishing the best available environmental controls on the site, making it a state-of-the-art facility and a model for cities around the country. The infrastructure installed at Freshkills Park covers the landfill and prevents it from posing a risk to public health and the environment. The landfill is sealed off with a “cap,” which is made of different layers of soil, geotextiles, and a plastic geomembrane. These layers cover and stabilize landfilled waste and prevent the waste and its byproducts from entering the surrounding environment. A system of wells, trenches, and pipes collects the landfill byproducts – leachate and landfill gas – and sends them to nearby treatment plants. Landfill gas is refined into pipeline-grade natural gas and distributed to Staten Island residents for cooking and heating fuel. With leachate, solid materials are separated from water. The solid materials are compressed into sludge cakes and transported to other facilities, and the clean water is discharged into the Arthur Kill. Air, surface water, and groundwater monitoring are conducted on a regular basis to ensure that the landfill infrastructure functions properly. The landfill is regulated by the New York State Department of Environmental Conservation (DEC) with a series of requirements, including management of landfill gas and leachate collection and treatment, and DSNY maintains all these systems and meets all required regulations. Interested in learning more? Visit the Landfill Engineering page. Fresh Kills was not designated to accept “toxic” or hazardous waste. The EPA and NYSDEC require that hazardous waste be handled with special precautions and disposed of in designated facilities around the country. Fresh Kills was a municipal solid waste landfill, so it was designed to accept household garbage like food scraps, plastic, clothes, paper, metal, and glass. Some everyday household items do contain toxic substances that can be dangerous at high levels, such as paints and lead-acid batteries. Sometimes residents dispose of these items with the rest of their household garbage, even though this is not permitted. However, the potential human health and environmental risk of these substances depends on their concentration, the degree of contact, and their ability to move in the environment. 150 million tons of household waste were landfilled at the Fresh Kills Landfill, and the vast majority of that waste consisted of non-hazardous household garbage. Any small concentrations of hazardous substances are unlikely to reach levels harmful to humans. Landfill capping further ensures that the byproducts of the landfilled waste are sealed off from the outside environment and as such do not pose a risk to human health or the environment. Freshkills Park does not contain any radioactive material. In 2005, when the NYPD conducted an aerial survey to develop a baseline radiological map of the city, they did not find any radiation at Freshkills Park. That same survey did find radioactive hot spots at Great Kills Park, and the National Park Service is currently working on the environmental cleanup there. More information can be found at the Cleanup Project website. Freshkills Park’s waterways are rated appropriate for secondary contact, which means that they can be used for boating, kayaking and catch-and-release fishing. Like many other industrial waterways, the water is not appropriate for drinking, swimming, cooking, or bathing. New York City residents actually get their drinking water from upstate New York, so groundwater and water bodies near Freshkills Park are not used for drinking water. DSNY performs annual surface water and sediment sampling at a total of 14 sampling stations in and around Freshkills Park to ensure that it meets US Environmental Protection Agency water safety standards, as required by the Clean Water Act. They sample groundwater four times each year at over 200 monitoring wells. Learn more about monitoring here.